Very nice. That's a sedan I'd happily drive. Currently the front is rubbing so I had to raise it back up but other than that it handles and rides smooth!! 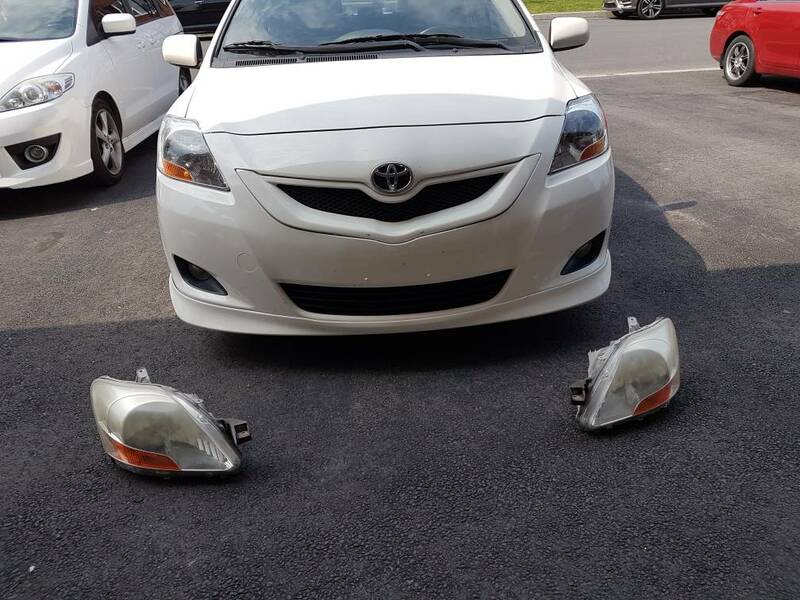 Oh, I ended up just replacing my headlights. I would polish it, and a week later it's fuzzy again. Man, that wheel color/design with that flint mica body color is a winning combination. Where can I buy an OEM side skirt for my yaris sedan? Little update on my sedan, I was able to get my hands on a full set of the Sportivo kit that is not available here in the US. Did some test fitting of the kit, but will need to find a good long weekend to work on it as body work isn't my thing but i'm down to learn. If all else fails, i'll find a body shop to install it.